There is a lot of confusion about how to determine if you are buying real Manuka Honey. 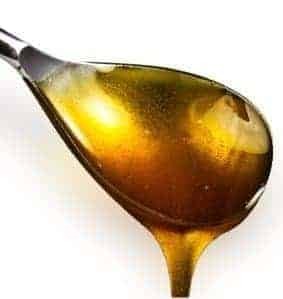 Unfortunately for consumers the market is flooded with products that claim to be the real deal, but the product is actually fake and it doesn’t contain any of the compounds that make this honey so special. Far more ‘Manuka’ is sold every year than is produced (10,000 tonnes sold versus the 1,700 tonnes that comes out of New Zealand). Since it is in such short supply, it’s sometimes mixed with cheaper varieties, so consumers need to be especially cautious with what they buy to ensure that they don’t get a counterfeit product and that they are truly benefiting from the powerful anti-bacterial and health-boosting properties that genuine stuff has. Whether you want to use it to help heal acne scars, fight off sore throats or to help with more severe health concerns, we will help you find the best and most beneficial Manuka brand for you. Consumers should check labels and choose the appropriate UMF or MGO level for their purpose. The following products come from trusted companies that test for the antibacterial properties. 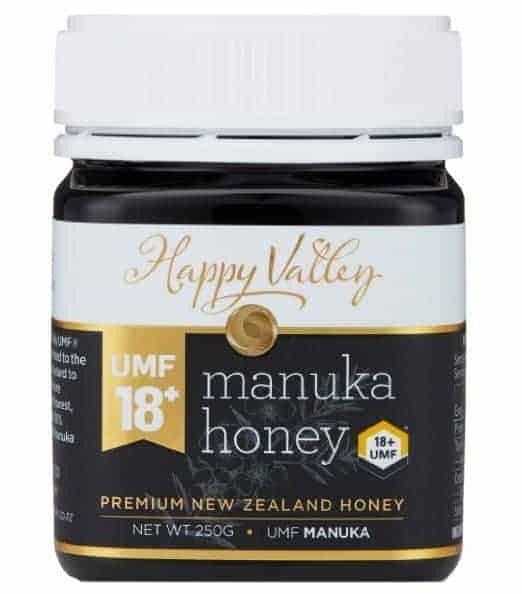 Manuka Health does not have the UMF grading but instead tests for methylglyoxal (MGO) one of the critical compounds naturally occurring in New Zealand honey using their own testing system. 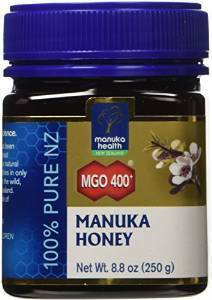 Manuka Health can trace the product from beehive to store shelf, and it is one of the most popular brands available in the U.S. MGO™ is a trademark of Manuka Health New Zealand Ltd, and this grade is seen only on their own products. Kiva is a Hawaii based company that specializes in importing superfoods into the U.S from around the world. This is a high-grade raw Manuka (not all manuka is raw). 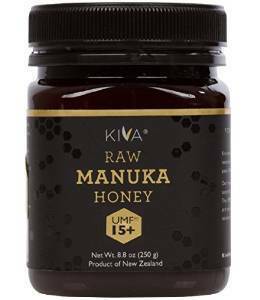 Kiva RAW honey comes from the remote areas all over New Zealand including hills, forests, and the coastal regions. It has been independently tested and UMF rated. Tahi is another excellent option if you are looking for a UMF rated product. They are very transparent about where their product is coming from and provide a fair amount of information about their beekeeping practices on their website. Their bees do not eat sugar syrup or chemicals. The company states that they never blend their product with honey from other hives that they don’t control to maintain the quality in each jar. The honey is not pasteurized (raw) and is minimally filtered. The company is also committed to conservation and sustainable business practices. Tahi has planted more than 250,000 native trees to restore the habitat. Comvita has been around for around 42 years and has been producing high-quality Manuka ever since. The brand is sourced from their 30,000 beehives in the remote pollution-free forests of New Zealand. It is tracked from hive to the store, so you can rest assured you are getting the real stuff. Comvita has the UMF trademark and is considered the largest manufacturer and marketer of premium honey. Happy Valley was founded in 1975, and they offer a range of different types of honey products all sourced from New Zealand. Their products have been independently tested to verify the UMF (Unique Manuka Factor). This brand is known for its golden brown color, notes of caramel and malt, crisp finish, thick texture with a pleasant aftertaste. All Happy Valley Honey is considered raw and never comes up to temperatures that endanger the natural benefits during production. Manukora is another UMF graded pure New Zealand Manuka brand. It is known for its creaming process that makes the texture very smooth (most Manuka has a little bit of a gritty texture that may be off-putting for some individuals) while still keeping its flavor. They work closely with their bee keepers to keep the purity, quality and potency of the product. Why is it important that you buy ‘Real’ Manuka? To get the well-documented health benefits from the anti-bacterial properties, you need to ensure what you are buying comes from the actual Manuka bush. What makes this honey so unique is that it has a critical active ingredient Methylglyoxal (also known as MGO) that is not found in other honey. MGO is an antibacterial compound that can kill bacteria. Whether it is acne, sore throats, wounds or even drug-resistant superbug infections, MGO has highly beneficial health implications. The problem is that the demand for this type of product is so great and the supply so limited, there are a lot of products on the market that claim to be the real thing but that don’t have the level of Methylglyoxal that the real stuff does. It might be a diluted version or just mixed with other types of honey that don’t have the same kind of health benefits. Since it is going to take a bit of time for companies to have their products tested for these markers and for the government to implement the new requirements, for now the best way ensure you are getting real stuff is to look for either of the two rating systems that have up until this point have been used to test the product. The first and most well-known is the UMF factor. The UMF factor is a standard that tests the antibacterial properties. 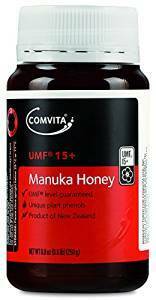 Producers that use the UMF rating belong to and are regulated by the Unique Manuka Factor Association of New Zealand (UMF). If the brand that you are looking at has a UMF rating, it will be displayed on the label. The other rating that you can look for is MGO. MGO tests for methylglyoxal which is what helps give the honey its antibacterial properties. MGO™ is a trademark of Manuka Health New Zealand Ltd, so you will only find it on that companies products. The MGO rating system grew out of opposition to UMF system and is recognized by most experts as a legitimate way to test for antibacterial properties. Where things get confusing is some companies that don’t belong to the UMF association or don’t test for MGO have come up with their own ways to grade the product. Some producers use terms like ‘Active,’ ‘Bio-Active’ or ‘Activity’ or ‘Peroxide Activity’ or ‘NPA’ that look confusingly like the UMF or MGO ratings, but you should avoid them as they are most likely a blend with other types of honey. Up until a few years ago, it was challenging to get UMF labeled honey in the U.S, only a few brands were being sold, and they were hard to find. 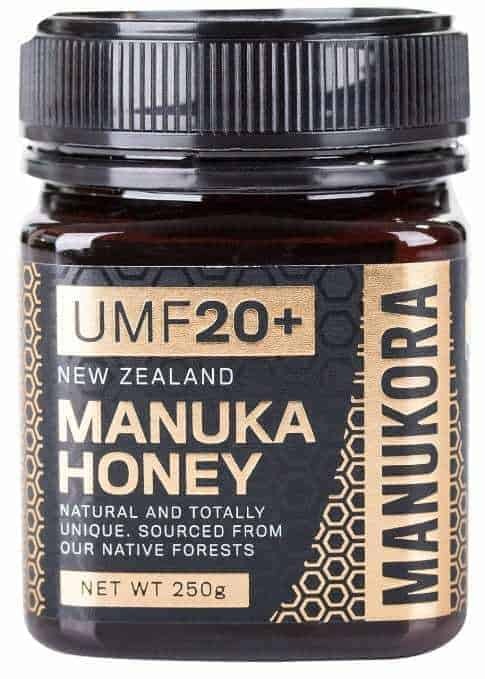 The two biggest brands sold in the U.S: Wedderspoon and Manuka Health, do not have the UMF label, although as mentioned above, because of the MGO grading Manuka Health honey is generally considered to be the real deal. What do all of the different Strengths and Ratings Mean? The strength that you should choose depends on what your needs are. If you are going to be eating it every day to maintain basic health, you should look for a UMF of between 10 to 15 or MGO of 100 to 400. If you are looking for skin therapy or strong antibacterial properties for killing infections, look for UMF of 15+ or an MGO of 400 to 550. The theory is that the higher the UMF number the greater its strength at killing bacteria and the better it is for you. The most popular non-medical honey that is available to general consumers is around 20 UMF. As the strength gets higher so does the price. Where does Manuka come from? New Zealand is the main exporter of the honey, although the Manuka bush (also known as the tea tree) can be found in Australia (where it is called the jellybush). Australia’s honey is a little cheaper mostly because consumers don’t like the taste as much as the New Zealand variety. A lot of the Australian honey is used for medical purposes, where the taste doesn’t make any difference because it is used to dress wounds and burns. Currently there is a battle over who exactly can use the Manuka name. The New Zealand beekeepers believe that they should have the exclusive rights to the name, since it is mostly known to be a product of that country. 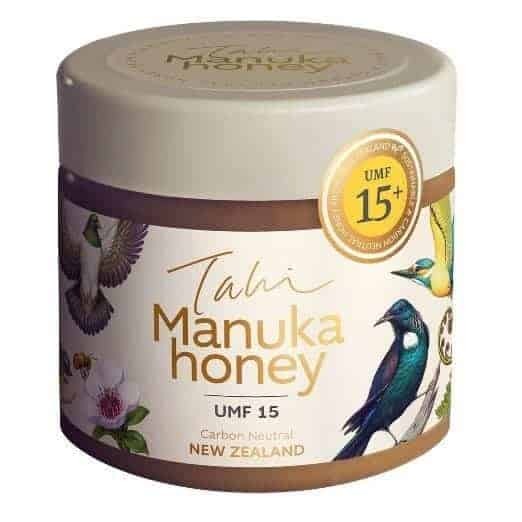 The Unique Manuka Factor Honey Association (UMF) is trying to trademark the name, and last year filed an application with the government to protect the product. However beekeepers in Australia argue that it is the tree itself, the Leptospermum scoparium, that gives it its name. The Leptospermum scoparium is also native to Australia and the honey that is produced has the same beneficial properties as New Zealand’s. What is the Science behind it all? There have actually been quite a lot of studies done on Manuka that show effectiveness for a number of different health ailments. Most of the studies have been conducted by the Scientist, Dr. Peter Molan of the University of Waikato in New Zealand. Some of the recent studies seem to show Manuka honey can help heal wounds and possibly to heal burns. Studies also show it is useful in fighting infection and promoting healing. There have also been studies suggesting it may work to help prevent gingivitis by reducing the buildup of plaque. Also, there has been promising research to indicate that it may also help fight “superbugs” that are difficult to treat because of the increasing resistance to antibiotics. Experts say that to reap the benefits, you should take a dose of about 1-2 tablespoons a day. It can be added to tea, put on toast, added to cereal just ingested straight. Manuka can be applied to the skin to help with skin infections, bites, burns, and minor cuts. For more severe aliments you should consult with a doctor. Health food stores and some grocery stores like Whole Foods stock the honey. You can also easily purchase it online. Unfortunately, this specialty product comes with a pretty hefty price tag. Party due to the limited amount that is being produced, the fact that the unique species of bush only grows in New Zealand and Australia, and the large amount of testing that must be done on each batch all contribute to the cost of producing the honey. When buying real Manuka that has been tested for its antibacterial properties you can expect to pay $30 to USD 50 for a 250-gram jar. If you find a cheaper product, you may want to question whether it is the real stuff. It isn’t really known for its great taste. It has a slight bitter or sharp taste that is mixed in with the sweetness; this is not unusual for a darker blend. Depending on the brand, the texture is generally not as smooth as other varieties and can be a little rougher than what customers are used to.